I ended up just signing up for two ATCs in April, as the posting date for the third one is always end of the month and we’ll be moving after the weekend. 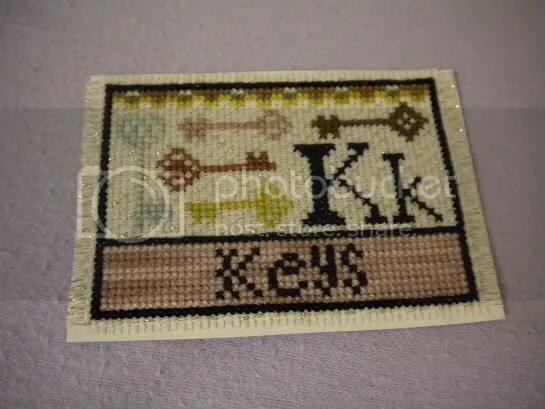 The two themes this month were All Our Yesterdays (AOY) and the letter K.
I have loads of AOY charts so the problem there was actually settling on one to do, I changed a couple of the colors and used a variegated sea blue for part of the sea, it was stitched on 18 count cream aida. I love how it turned out, BUT I absolutely hated stitching it. I’m not sure why I didn’t like it, I guess because it felt like a chore the whole way through. This design was in the little AOY diary which came as a freebie with WOXS before Christmas 2010. 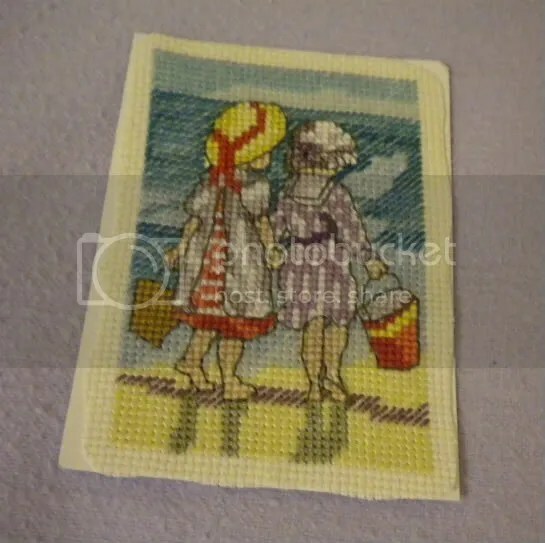 Conversely I loved stitching my K themed ATC. 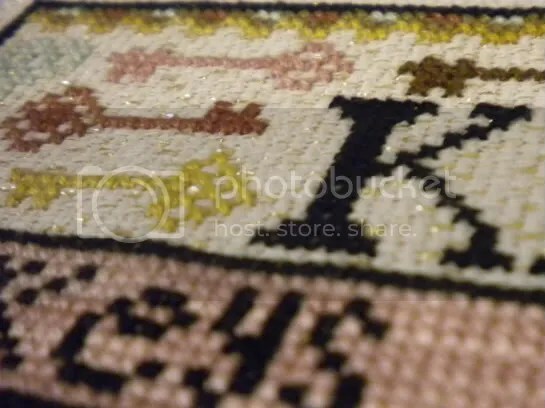 I had a perfect chart for it, it was part of the Barrick Sampler alphabet by Carriage House Samplings and I’ve been meaning to stitching it for a while. I picked out some lovely colors from my hand dyed floss stash and stitched on 16-count cream gold-flecked aida, it’s the same fabric I stitched The Wedding on, and I’ve used it for lots of things, but it never seems to get used up. I’ve already got this one kitted up to stitch again, this time I’ll be finishing it as a fob for my key ring. Stitching and Cats, Oh My!